At KGTA we understand that not everyone is exposed to the wonderful game of tennis at an early age. The Teen Beginner level is a perfect way for older children to be introduced to the sport, and is geared for them to succeed quickly at the basics of the game. While the general components of the Teen Beginner level are the same as the Beginner level, the methodology is accelerated. Players build all of the primary skills needed to develop into a successful tennis player, while at the same time being educated on etiquette, equipment, and general tennis knowledge. At KGTA we do this in a fun and challenging environment that allows teens, who are more physically mature, to progress rapidly. 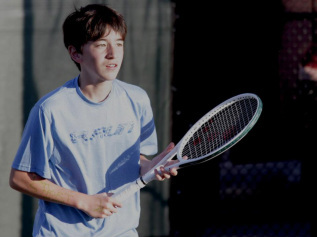 Lessons at the Teen Beginner level involve a heavy dose of physical fitness, which is crucial to the general health and tennis-specific improvement of our players. Point-play and fun & challenging games are used quite a bit after each technical instruction to reinforce newly learned skills. Our goal is for beginner players to learn to enjoy the game of tennis, gaining the confidence, skills, and knowledge to move onto our intermediate programs.